Apple has launched iOS 11 in the WWDC 2017, keynote event and event last for 2 hours. But we feel that those two hours were not sufficient for Apple to talk all the feature of iOS 11. That’s why one of the best parts of the show is the moment when Apple just says, “screw it” and dumps a few dozen new features into one slide. There isn’t a ton of detail beyond the screen that Apple SVP Craig Federighi flashed onstage, but it’s enough to give us an idea of what we’ll be looking forward to in iOS 11. 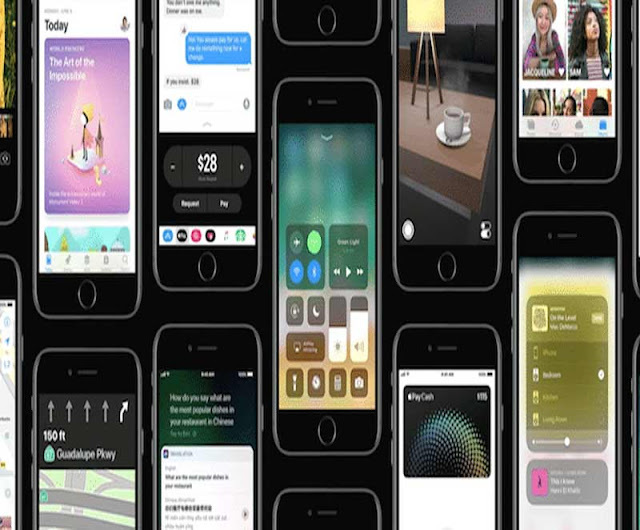 In this article, we are going to talk about the 5 features of iOS 11 which was not showcased in the event, but they are equally crazy for the iPhone users. Following in the footsteps of competitors like Samsung, which started allowing screen recording (and GIF creation) on its last few Galaxy phones, Apple appears ready to add that functionality in iOS 11. Here’s hoping Apple will let you capture and create GIFs, too. Apple is redesigning its entire App Store in iOS 11, so it’s not surprising that it’s going to overhaul the Podcasts app, which is a whole marketplace of its own. Discovery has always been tough on Apple’s own podcast listening app, so this is the company’s chance to get it right. I don’t know about you, but every (rare) time I use Safari on my iPhone I always forget how to access tab switching. Then, after I find it, I wind up stumbling around the interface, trying to apply Chrome’s tab behaviors to a different browser. Is iOS 11 going to fix that? Hard to say. But making it easier to swap between tabs and giving 3D Touch some purpose is a welcome change.